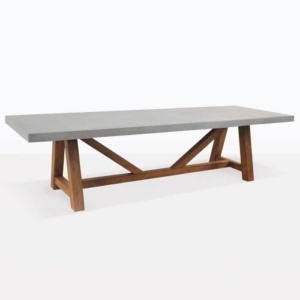 A gorgeous trestle table made specifically for outdoor dining. 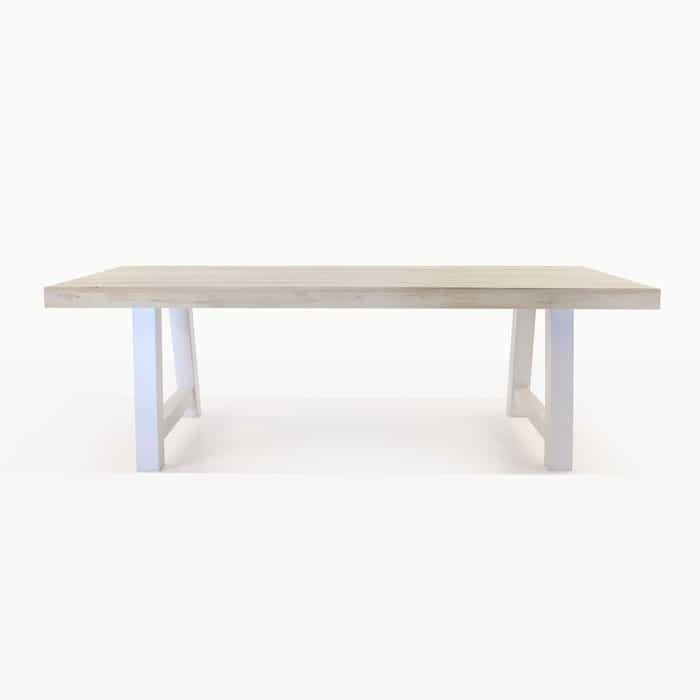 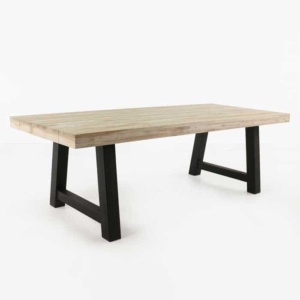 This substantial and monolithic outdoor table is made with a combination of fantastic materials, including a heavy Reclaimed Washed Teak tabletop and a white powder-coated steel frame. 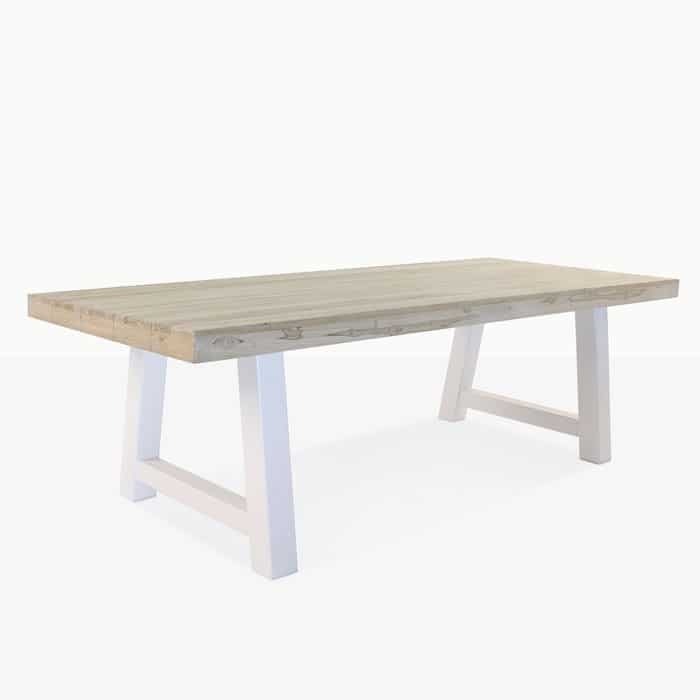 This table is characteristically traditional due to the style and the textured hewn-look to the tabletop and the classic architecture of the trestle legs. 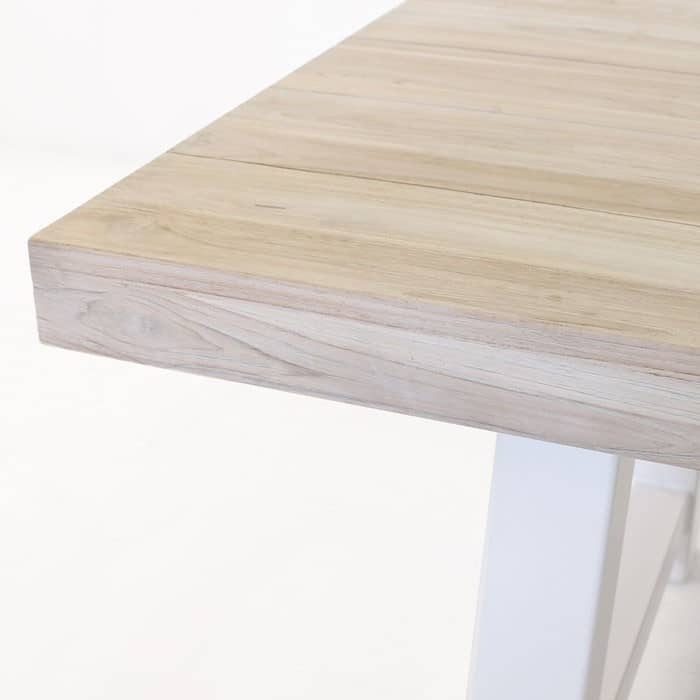 The light shade on the reclaimed teak tabletop is finished at factory with a unique lightening process to give a slightly-blanched appearance. 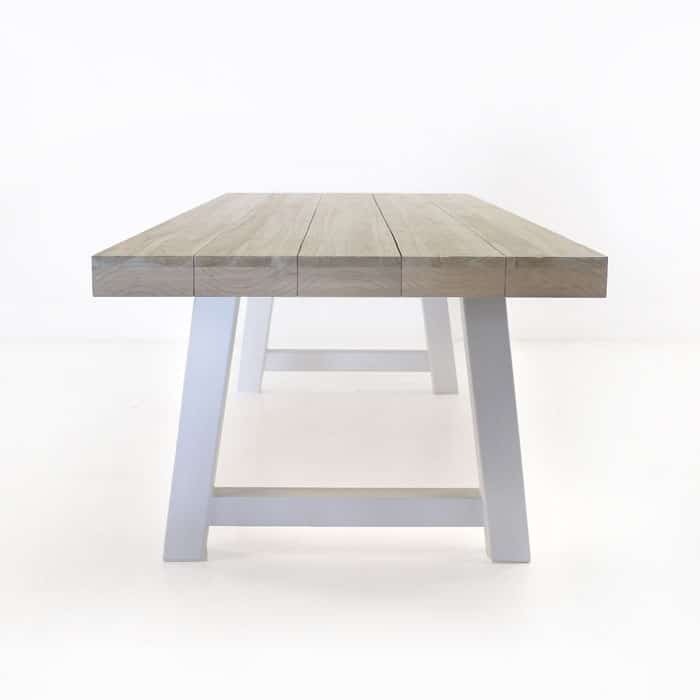 This lighter shade makes this table suitable in many settings, but it also helps to achieve a gorgeous evenly toned silver patina on the teak over time outside. 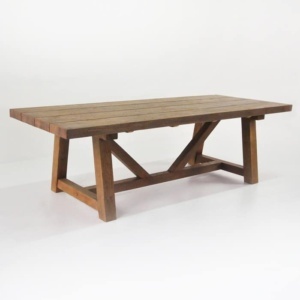 This trestle table is a perfect companion to any number of chairs from our outdoor dining chair collection.